Bucks Beautiful is pleased to host the 25th Anniversary Kitchen & Garden Tour, to be held in historic Doylestown Borough. This annual one-day event is a highlight of the spring season, with visits to hidden jewels tucked away on the charming streets of this quaint town. An inspiring mix of homes and gardens with Bucks County Master Gardeners on hand to offer gardening expertise. Tickets on sale now in our Gift Shop. 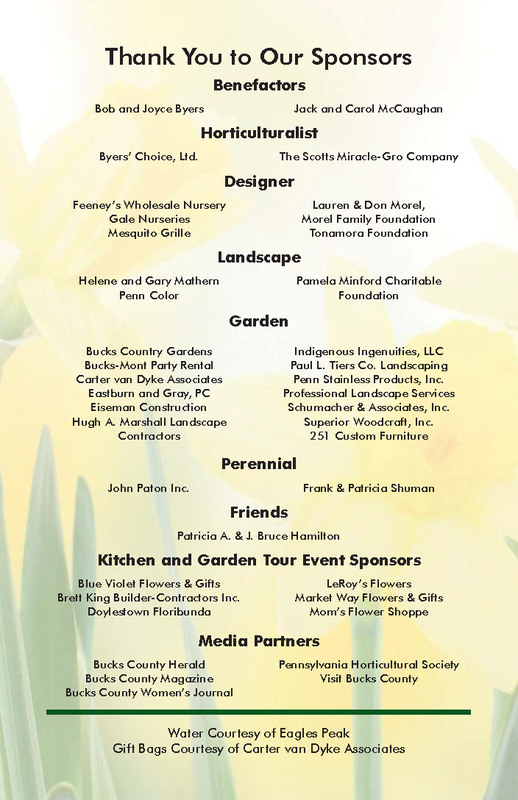 Thank You to all our 2018 Kitchen & Garden Tour Homeowners, Sponsors, Florists, Volunteers & Attendees for a wonderful day!